The proposed repeal of the tax law exemption on foreign employment income for South African expatriates working abroad has caused tremendous stress and panic amongst everyone affected. National Treasury has been actively engaging with taxpayers hereon and appears to be seeking a well measured middle ground. Time will surely tell, but our hopes are that this may very well become a good news story for South Africa, when we see the evidence of professional accumen being applied to information gathered during the consultative process. The tone was set by the Chairman of the Standing Committee of Finance, Yunus Carrim, who asked on the 29th of August 2017 that National Treasury must consult with affected parties and revert to the Committee with some sort of a “deal”. Sessions held on the matter with National Treasury on the 4th and 5th of September 2017, in Midrand have been very constructive. The approach of National Treasury, under the guidance of Christopher Axelson, emphasised the imperative to protect the interests of South Africa and to ensure a progressive tax system, aligned with international standards. South Africans who venture internationally must be encouraged to come back to South Africa, as there are dire skills shortages in certain industries. This view is strongly supported by the existing Department of Home Affairs Critical Skills categories for work visa purposes. Expatriates who want to return home for retirement must also always feel welcome to do so. The concerns raised by expatriates, however, have been studied by National Treasury and many points have been conceded as valid. National Treasury has proposed various options to soften the legislation, which will go a far way in addressing the Expatriate Petition Group concerns. These options include considering extending the current 183-and-60 days test to a longer period(s) to qualify for exemption and/or exempting the earnings up to a certain amount. Written submissions hereon have been invited, albeit subject to tight deadline, as Parliament feedback is scheduled for next week. The ball is pretty much placed back in the court of the South African expatriate community, to comment on these options. 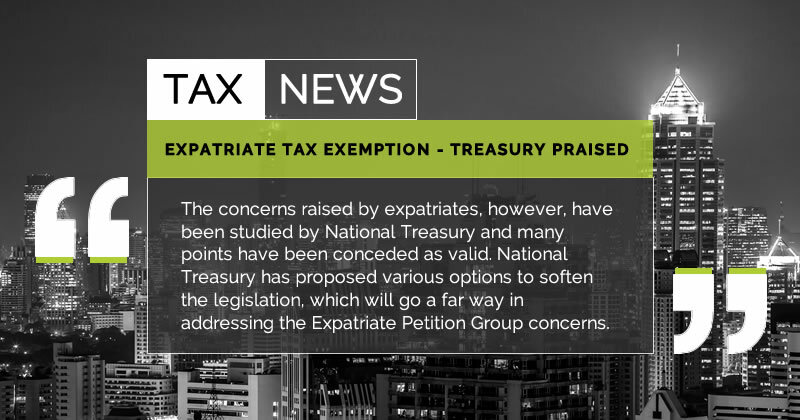 After a couple of hours, well over 2,000 responses have been received on Barry Pretorius’ Expatriate Tax Petition Group quick poll at http://www.taxconsulting.co.za/national-treasury-requested-feedback-foreign-income-exemption. 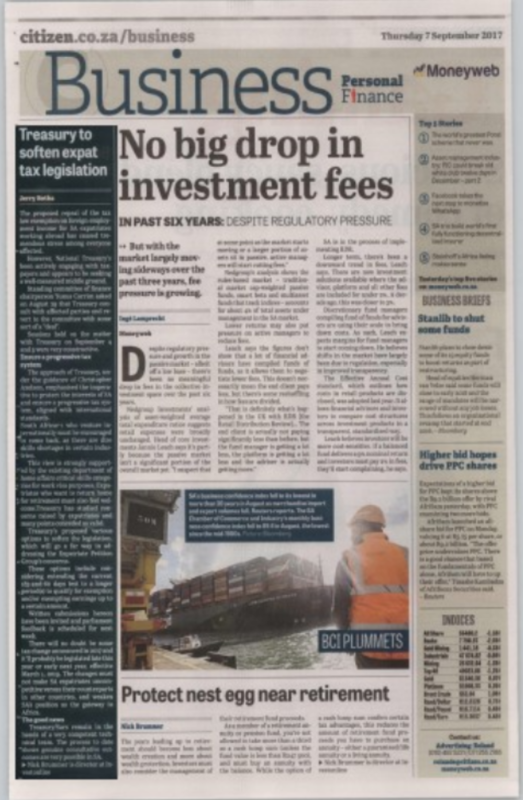 There will no doubt be some tax change announced this year and it will probably be legislated late this year or early next year, effective 01 March 2019. The key is that these changes must not make South African expatriates uncompetitive compared to their counterparts in other countries, and weaken South Africa’s position as the gateway to Africa. The good news holds that National Treasury / SARS remain in the hands of a very competent technical team. The process to date has shown that genuine consultative outcomes remain very much possible in South Africa, where correctly approached and strong emotions kept in check. That is perhaps what we should be known for globally, as focus on our similarities have always yielded better results than any differences.